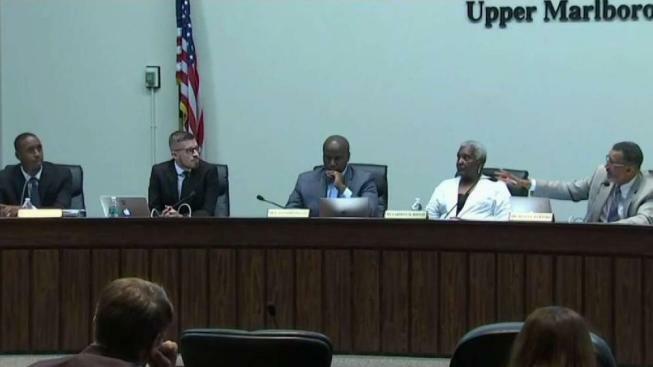 The Prince George's County school board chair may face assault charges after allegedly attacking a school board member who publicly called for his resignation. 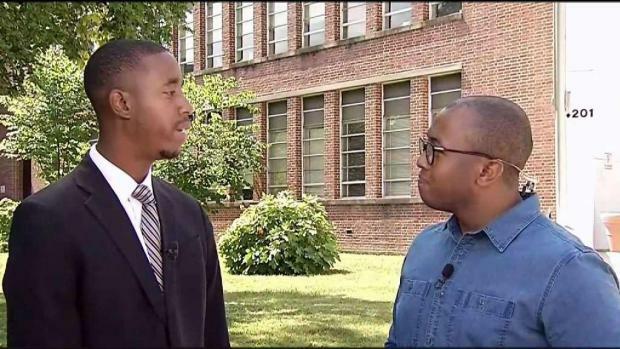 Edward Burroughs says the Board of Education chair, Segun Eubanks, attacked him after he joined a call for Eubanks to resign at a meeting Thursday. After the meeting, Burroughs told News4 Eubanks grabbed him by the throat, pushed him into a bookcase and threatened him. "His attorney asked me to come to the backroom," Burroughs said. "When I went to the backroom, he pushed me against the bookcase and whipped his finger in my face." 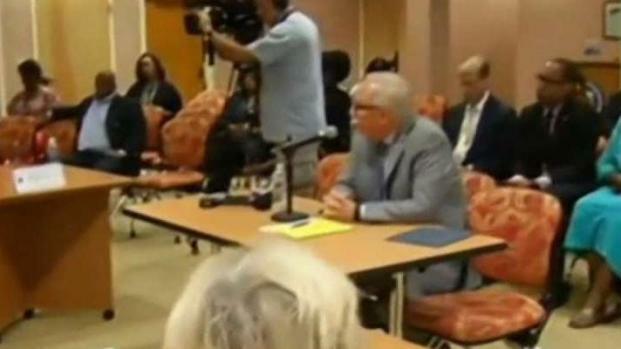 Outgoing Prince George's County Schools CEO Kevin Maxwell will receive a $790,00 payout, following several scandals during his five-year term.Tensions were high at a board meeting Thursday night, and one board member was assaulted. News4's Justin Finch has the story. "He told me he was going to 'blank me up' several times," Burroughs said. According to Burroughs, Eubanks said: "You were talking all that s--- out there. Why don't you talk that same s--- now?" Three school system police officers pulled Eubanks away and escorted him off the premises, Burroughs said. Some witnesses said they saw more of an argument than an assault. Eubanks refused to comment on the advice of his counsel. Prince George's County sheriff's deputies went to the Board of Education to try to serve Eubanks Friday, but the offices were closed Friday. The alleged assault occurred after Eubanks and Burroughs attended the school board meeting where members voted on a deal to terminate the contract of the outgoing CEO of schools, Kevin Maxwell. Tensions ran high as the board debated the terms of the departure agreement, which involved paying Maxwell $790,000. Amid the debate over the settlement, Board member David Murray called on Eubanks to resign. "I want to take this opportunity to ask you, Dr. Eubanks, publicly to help us turn a new leaf by stepping down along with Dr. Maxwell," Murray said. "I think this board would be better off with absolute new leadership," Burroughs said. "If we're really going to turn a new leaf, we can't do it with a relative of the county executive leading the board." 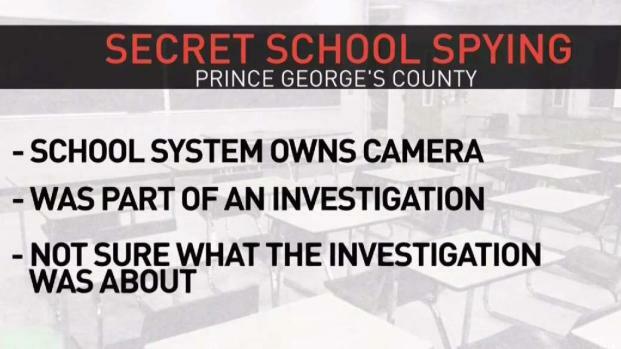 Who Put Recording Device in PGCPS Principal's Office? Prince George's County Executive Rushern Baker spoke Wednesday about the recording device in a county school. Sources said the camera was owned by the school district and placed there as part of an investigation. News4's Tracee Wilkins reports. Both calls for Eubank's resignation were met with clapping and cheering from the crowd gathered at the meeting. The board then voted to accept the payout for Maxwell — with Burroughs and Murray voting against the package — and Eubanks announced the meeting was adjourned. Eubanks' attorney then called Burroughs into the room where the alleged assault occurred, Burroughs claims. Burroughs said he got a stay-away order and that second-degree assault charges are pending. Speaking to News4 on Friday, Burroughs said taxpayers were hurt the most. "I was assaulted last night, but the biggest assault was to the taxpayers," Burroughs said. "Their money — over $800,000 — going down the drain. Not helping students or teachers at all. I think was the biggest assault of the night." Kevin Maxwell is set to leave Prince George's County Public Schools after several tumultuous months, as teachers protested pay raises for central office staff and a school aide was sentenced for abusing children. There was also a grade-tampering scandal.